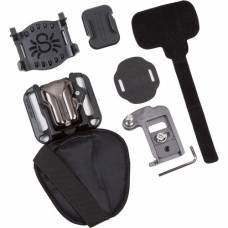 Spider Camera Holsters are a safe and secure system for your camera. Giving you freedom of movement with quick access to your professional photography gear. Instead of putting the strain on your neck, Spider Camera Holsters displaces the weight of your gear on your hips so that you can shoot for longer. The Spider holster does not only protect your camera, but also allows you quick access to all your gear in seconds.